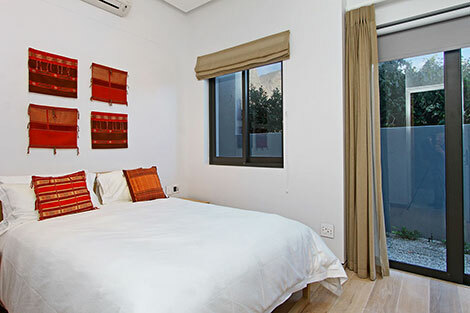 Hamaya is a gorgeously styled double story semi-detached four bedroom luxury vacation rental. 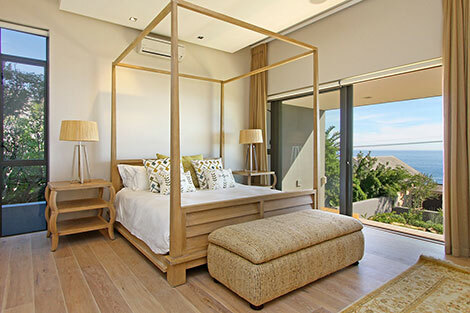 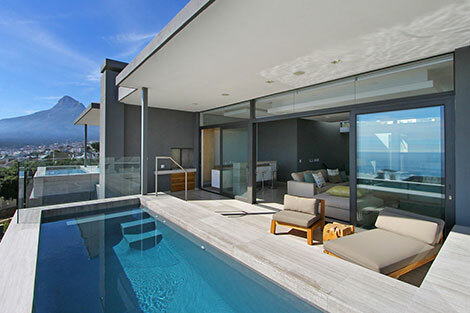 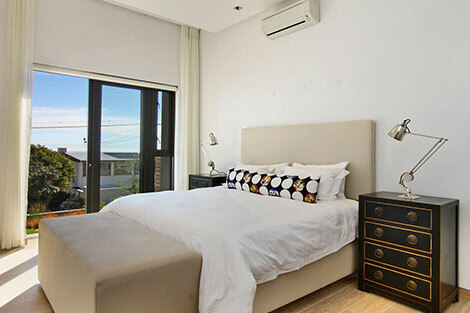 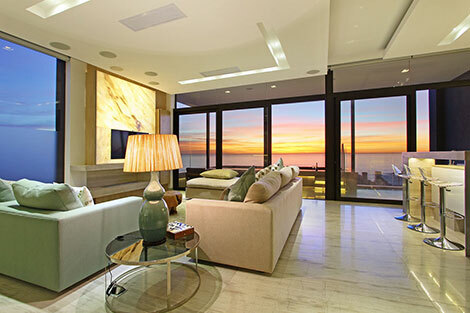 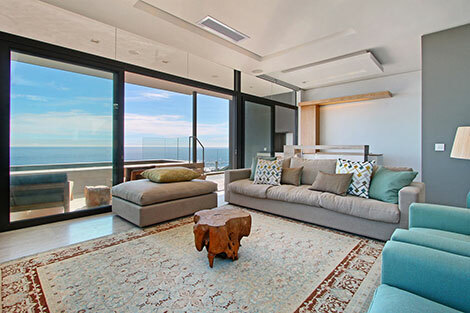 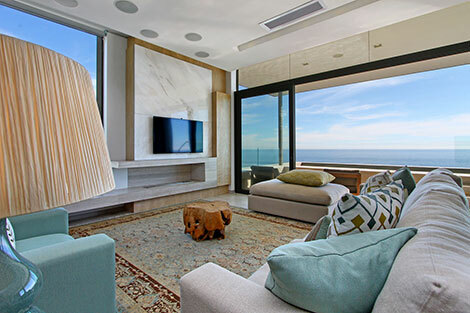 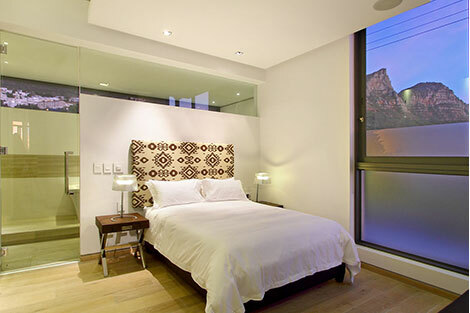 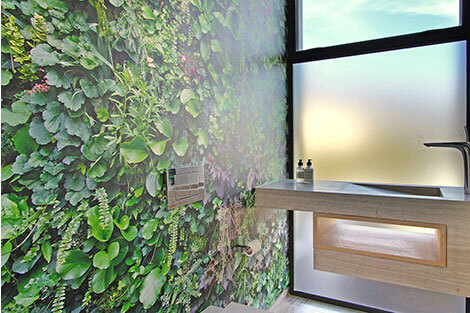 It is located in the quiet side streets of Camps Bay, Hamaya will spoil you with breath taking views of the ocean for the discerning travellers looking for much needed rest and relaxation. 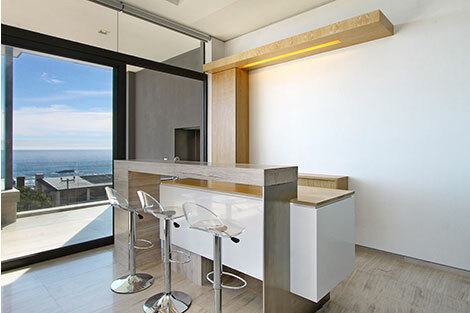 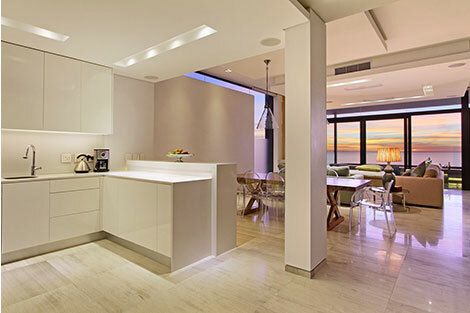 The kitchenis open plan and overlooks the dining and living rooms, which leads onto the sea facing balcony with private pool. 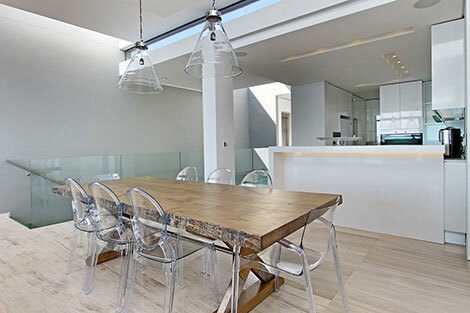 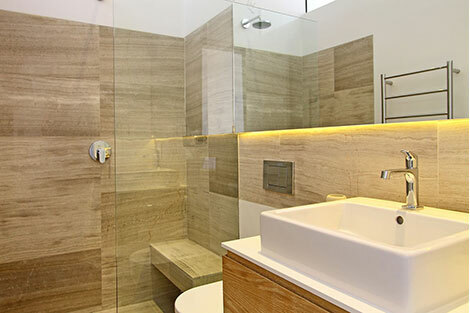 Polished porcelain tiles line the floors and lead out onto the balcony, creating a wonderful flow throughout. 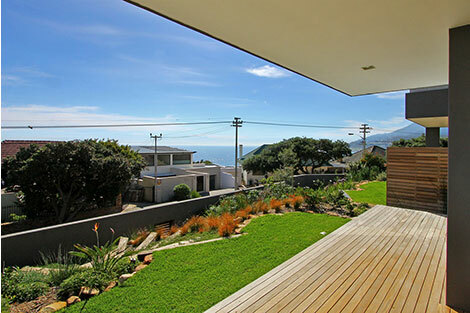 A built in gas BBQ neatly blends in with the outdoor furnishings.